I am an independent decorator with over 10 years experience in the industry. I pride myself in providing a professional and reliable service with a friendly and personal touch. Most of my work comes from customer recommendations, both domestic and commercial. I am happy to undertake all sizes of project, from one wall to a whole house, both interior and exterior, including general property maintenance. 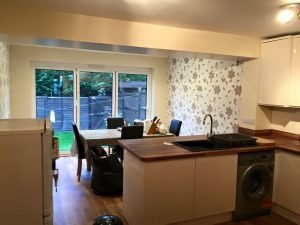 My clients have ranged from small family homes through to larger businesses including shops, pubs and offices. Whatever the size of the job I will tailor a decorating schedule to meet your needs. I am based in Crawley and I cover most of the South East, including Surrey, East and West Sussex, London and West Kent. Please contact me for a free quotation.